This entry is part 6 of 29 in the series Bookshelf. She was an itinerant evangelist who travelled coast–to-coast across the United States holding meetings in church halls, Gospel tents and public buildings. 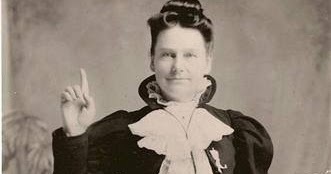 Though simply evangelistic in the early days it was in 1885 that supernatural signs began to accompany her service. People fell into trances, experienced visions of heaven and hell, collapsed on the floor as if they’d been shot or had died. Thousands were healed of a wide variety of sicknesses and diseases and many believers, even ministers, received mighty baptisms of the Holy Spirit. LaSorcia and brinny like this. Thank you Mr. O i'll check out the links and video.